The Hunter wellington boot is the yardstick for all other wellies thanks to its combination of style and function. Beloved by legions of dog walkers, farmers and royals alike (it was granted its first Royal warrant all the way back in 1977), the Original Boot is a design classic that has stood the test of time. So it’s good news for all welly aficionados that this autumn sees an exciting new introduction to the Hunter family – The Field Boot Collection. Designed to be a more grown-up companion to the playful Original Collection, the Field Boot Collection takes Hunter’s classic heritage and combines it with functionality to create an innovative new product. This range has been designed to be worn during outdoor activities from rambling and walking the dog, to field sports and farming (hence the name! ), and as such is more robust and hardwearing than the Original Collection, which has been designed with a more fashion forward approach. The standout piece in the collection is the Norris Field Boot. Intended to ‘live in the field’, this handmade boot has all of the stylish looks you expect from a pair of Hunters, but with a very modern, durable construction. This is because the Norris has inherited the Original’s good looks, but with the high-performance qualities of the farmer’s favourite Argyll. Designed for everyday use in all conditions, the Norris is made from a softer rubber compound with a semi-matte finish that harks back to the company’s traditional boots. This rubber offers its wearers increased movement and comfort, and combined with the sturdy weather-proof side buckle these boots will keep your feet cosy and supported during use. The Norris also has an innovative zig-zag Argyll sole that has been specifically designed to grip all surfaces as firmly as possible whilst remaining sturdy and durable. Another striking boot in the Field Collection is the Balmoral Neoprene 3mm . As with all the Balmoral boots, they are designed to keep you comfortable in all-terrains and all-weathers. These boots mould to the contours of your leg to prevent unwanted chaffing, and have a cleverly design side gusset which helps the boots to fit securely against your calves. The Balmorals also have a cushioned sole, with an energy rebound in the forepart and heel shock absorbing pads to cater for any climates and terrains that you may find yourself in. However, what makes the Balmoral Neoprene 3mm different to the rest of the collection is their lining and sole, as both benefit from the latest technologies on the market. The closed cell construction of the Neoprene gives it excellent insulation properties so will keep your feet warm and snug no matter the weather. The multi-directional tread gives its wearers excellent traction on all surfaces, which means that it’s easier to get mud off at the end of the day! If this blog post has whetted your appetite (or if you have some festival action coming up that requires some mud-proof boots!) and you’d like to browse the whole Hunter wellington boot collection, then please visit www.philipmorrisdirect.co.uk/clothing/hunter/dept/. 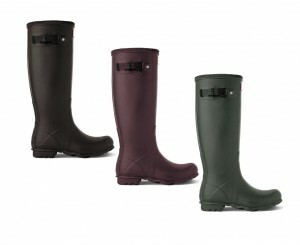 Additionally, for a limited time only we have selected Hunter Boots on offer, so hurry now whilst stocks last! 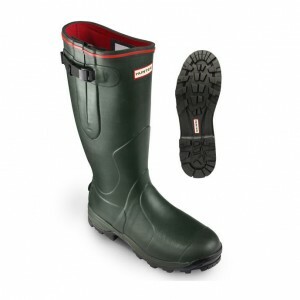 Hunter Balmoral, Hunter Balmoral Neoprene 3mm, hunter boots, Hunter Field Collection, Hunter Norris Boot, hunter wellies, Hunter wellington boots, New Collection, Philip Morris & Son. Bookmark. Do you do a ladies norris neo field boot with adjustable side gusset in burnt sienna. What is your e-mail address also ? Unfortunately we don’t currently have any of the Adjustable Norris wellies in Burnt Sienna, just Black. However if you would like to contact us on customerservice@philipmorrisdirect.co.uk, or 01432 377 089, then one of our Customer Service Team can see if we would be able to order them in for you. I hope this helps, and if you need any further information please do not hesitate to contact us. Nice Boots! I am a big fan of work boots and i think these new boots are also very nice. I think this is the best time to buy new boots as winters are near and i see this post at right time.